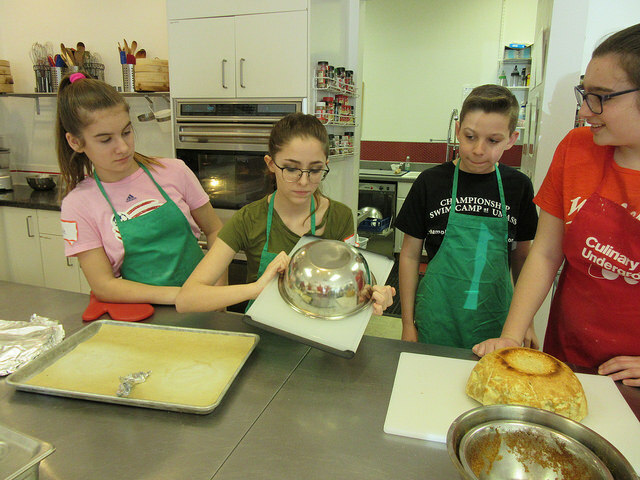 Working with our contemporary French bistro theme, students will determine a restaurant “concept”, develop a menu, and create the recipes to serve our restaurant critics on the last day of camp. 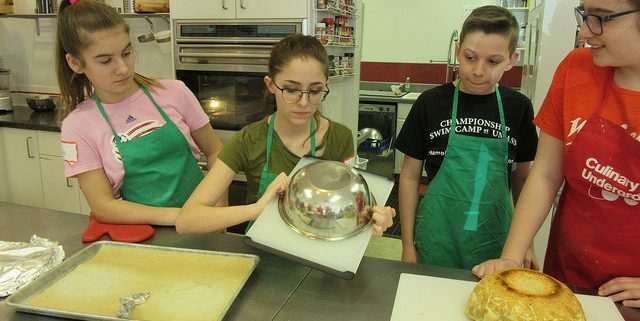 Students learn some solid culinary skills, tap into their creativity, and work together in a fast-paced environment. We’ll be eating of our “test” recipes each day, too. Interested applicants apply now! CU will provide beverages and lunch for our students while they work. The series is 3 half-days, Tuesday through Thursday, from 9:30 AM to 1:00 PM, April 16-18.